Having finally learned the best way to get to Lock 17 and Moss Island, Carol and I decided to take a little hike yesterday. I’ve mentioned Lock 18 as part of the canal cruise we took recently, but Lock 17 is the one located closer to home. It’s also, at 40 ½ feet, the tallest vertical lift of any canal lock in the United States. 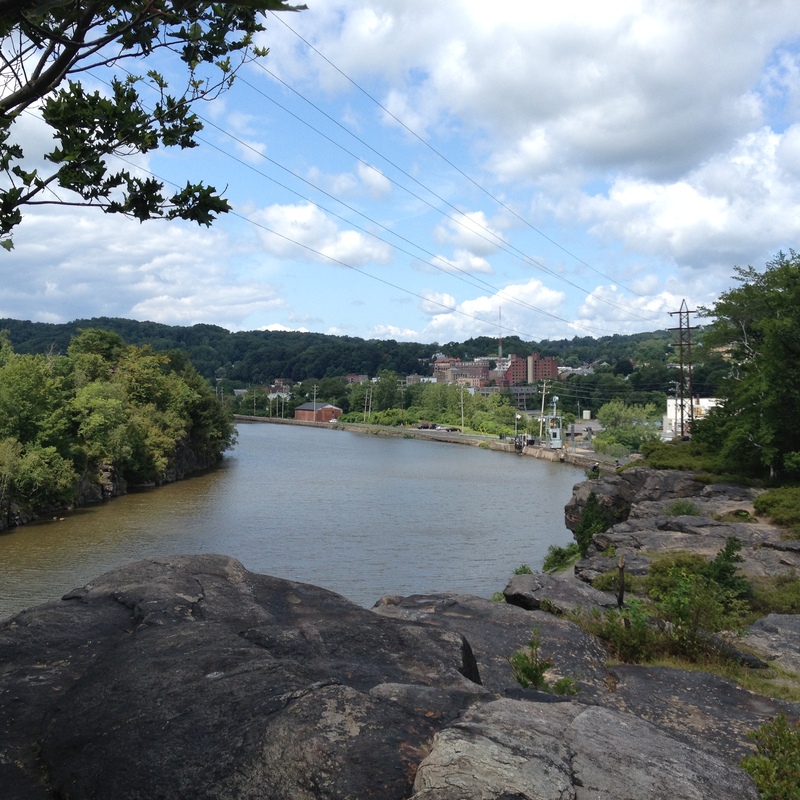 That’s because the land cut (section of canal that is separated from the Mohawk River) was created to get around a waterfall located in that section of river. Moss Island is an island because the Eerie Canal needed to cut out a path through a big section of rock to make that land cut. The result, other than Lock 17, is an island about 625 feet by 1500 feet composed mostly of volcanic syenite. Syenite is similar to granite and makes a strong rock, which makes Moss Island a favorite of local rock climbers. We decided to take the “easy” way up. 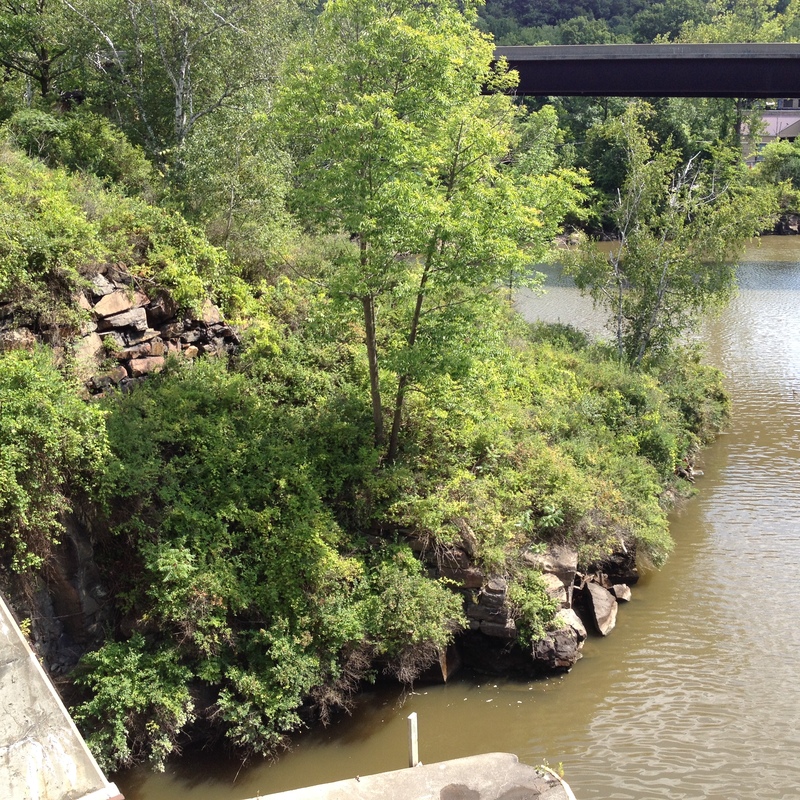 This is a view of Moss Island from the top of Lock 17. You have to admire all the trees that have managed to find a foothold on the island over the centuries, as it’s still basically a rock and not a lot of soil to work with. 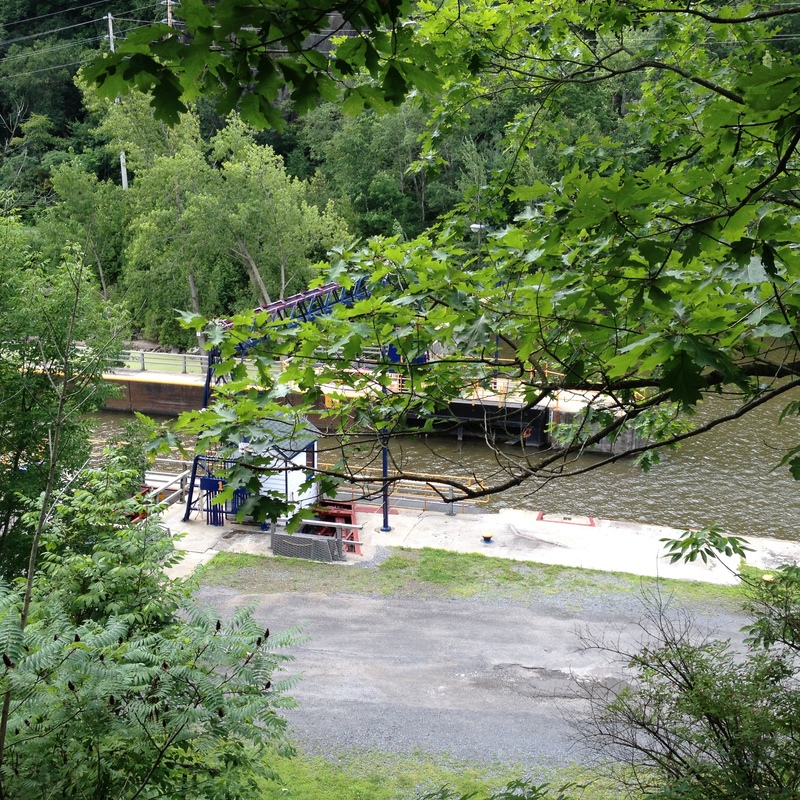 To be fair, now here is a view of Lock 17 as seen from Moss Island. Just out of view on the opposite side of the lock are the remains of the 19th century version of the lock. I’m sorry I didn’t get a shot of that, as it illustrates just how much narrower the boats traveling the canal were then. 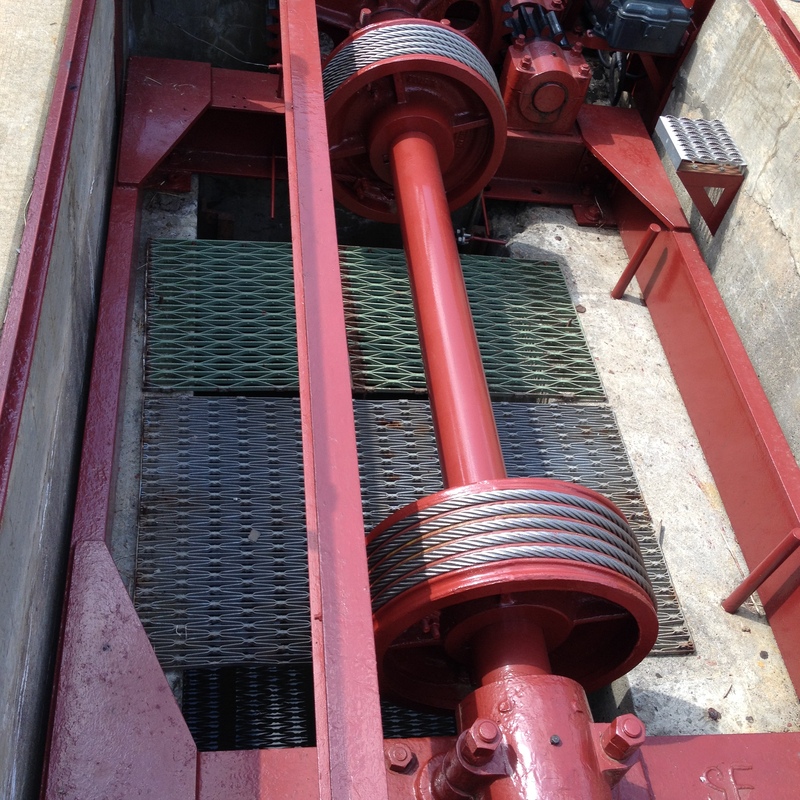 Below this is a shot of one of the two massive electric winches that operate the lock doors. It’s hard to get a proper sense of scale from the picture, alas, but it’s pretty darn big. We followed as many of the trails as my stamina and Carol’s knees would allow, finally arriving at the southwestern tip looking back toward the town. Next trip I want to cover more of the river side of the island. Since someone asked about the ebook version of the Tales From the Sunrise Lands anthology, I can only say at this point that it won’t be before next month (September) at the earliest. But it’s going to happen. Once I find out anything more definite, I’ll post it here. All right, it’s time for a new Story Time. The piece I’ve chosen is “The Trickster’s Wife.” This story originally appeared in Realms of Fantasy, February 2001 and was included in my WFA finalist first collection, The Ogre’s Wife: Fairy Tales for Grownups. I was looking over my files and realized, when I switched word processors some years ago, I had never converted it to the new format. While I was taking care of that, I thought it would make a good Story Time. The genesis was me considering how, imo, Loki’s wife got a raw deal. I thought maybe in this version she should get a little of her own back.